Want to make a sizable donation to your favorite charity? Of course, you could write out a big, fat check to the organization and claim a current tax deduction for your generosity. But you might fare even better, when taking taxes into account, by donating securities that have appreciated in value. As a bonus, you won’t have to sell anything or dip into your cash to pay for the gift. There’s a simple tax incentive for donating stock rather than cash. If you write a check, you generally can write off the exact amount on your federal income tax return, subject to an overall charitable limit of 50% of your adjusted gross income (AGI) for the year. However, if you donate securities, you can deduct the fair market value (FMV) of the investments on the date of the contribution and avoid being taxed on the profit you would have made if you’d sold that holding. In other words, you (and your charity) would benefit from the stock’s appreciation without being taxed on it. It’s as if your gains never occurred--except for the tax break you would get to enjoy. But this works only if you’ve held an investment for more than a year. That’s the definition of "long term" for calculating taxes on capital gains. With donations of stock that would have produced a short-term gain if you had sold it, your deduction is limited to your basis in the stock, which is usually what you paid for your shares. So there’s no tax reward for giving away stock you’ve acquired within the year, no matter how much its price may have increased. Let’s take a look at two hypothetical examples to see the tax difference. Example 1: Suppose you acquired ABC Co. stock nine months ago for $10,000. The stock is now worth $15,000. If you donate the ABC stock to a charity, your deduction is limited to your basis, or $10,000. There’s no tax benefit from the $5,000 of appreciation in value. In fact, you would be giving that away for nothing. Example 2: Suppose you acquired XYZ Co. stock two years ago for $5,000 that is now worth $15,000. In this case, if you donate your XYZ shares to charity, your deduction is based on its FMV, or $15,000. You would get to deduct the entire $15,000 even though you only paid $5,000 for the stock. These rules lead to guidelines that can help you decide which investments to donate. 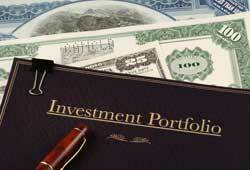 For tax purposes, it’s generally best to give the long-term holdings that have gained the most in value. But it makes little tax sense to donate stock that has moved up only a small amount, especially if you’ve owned it for a year or less. These differences may be especially important to donors in high tax brackets. If you donate stock that has lost value, your deduction will be based on the stock’s FMV. In this case, it usually makes sense tax-wise to sell the stock first and then donate the proceeds to charity. This way, you can claim a capital loss that you could use to offset capital gains from other securities sales. There are a few other tax wrinkles to consider when you're thinking about giving securities to charity. That 50%-of-AGI limit applies to all gifts during the year, whereas charitable gifts of property are limited 30% of your AGI for the year--though you can carry over any excess to subsequent tax years. In addition, some itemized deductions for high-income taxpayers, including those for charitable contributions, may be reduced by the "Pease rule." Generally, this reduction is equal to 3% of AGI exceeding an annual threshold amount (indexed for inflation), but the reduction is capped at 80% of your total deduction. For 2016, the threshold for the Pease rule is $259,400 of AGI for single filers and $311,300 for those who file jointly. Finally, there’s more at stake here than just taxes. Investment factors, too, come into play, and it’s usually better to choose stocks that you feel may have reached peak value than those that may continue to rise. You also may want to keep stocks that pay solid dividends. And there could be consequences relating to your estate plan and assets you might want to leave to your heirs instead of donating to charity. The best approach is to consider all the significant factors before giving securities to a charity. We can help you coordinate your decisions with other aspects of your investment and estate plans.